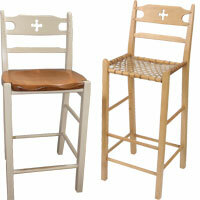 Need seating at your French Country Kitchen Island, or at your kitchen bar? 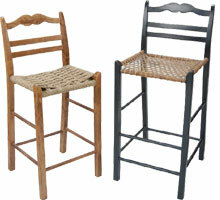 We have barstools and counter height stools in styles that will fit your kitchen. 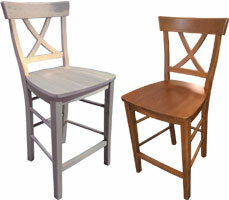 Select a 24 inch counter height stool, or a 30 inch bar stool, then choose your favorite seat style. We offer counter stools in 18 inch seat widths, as well as 20 inch seat widths, and in a variety of designs. Choose from our ladderback stool, paysanne stool, or our x back stool and you will find a wood stool that is a perfect addition to your kitchen island, pub table, or bar.